Kindle Paperwhite, Kindle Fire, and Kindle Fire for Kids. Are you thinking about buying a new Kindle ereader, but aren’t sure which one to get? I own and use several Kindle devices, including three different Fires, a Paperwhite, and a regular Kindle. I’ve compared different versions of the Fire, Paperwhite, and the Voyage several times—whenever I buy a new one. If you want color images, or if you want the features of a tablet, the Kindle Fire is the obvious choice. I read books on my Kindle Fire HD 8.9″, and reading is very nice on that, too (but see below). However, the largest screen HD and HDX models are pricey. I have a couple of the less expensive Fires, and don’t like them as much. But no doubt that’s because I have the really nice one to compare them to. The first Kindle I ever bought was a basic Kindle Fire. Before I discovered the Kindle Fire HD 8.9″, I was very happy with it. I read about 4+ novels per month, usually on my Kindle Paperwhite. Although I own the very nice Kindle Fire HD 8.9″ and enjoy reading on it, I still prefer to read most of my novels with the Kindle Paperwhite. I’d be very happy reading either way. But if I could only buy one device, and wanted it for reading, I’d opt for the Kindle Paperwhite. Now that the Kindle Paperwhite is 300 PPI like the Kindle Voyage, it’s hard to justify the price of the Kindle Voyage. The Kindle Voyage has an adaptive lightscreen, for example, but it’s a huge jump in price. The Kindle Paperwhite is an awesome value right now, if you’re looking mostly to read. You can save a bit with the basic Kindle 6″, if the Kindle Paperwhite is more than you’re looking to spend. All of the Kindles are touchscreen these days. The basic Kindle 6″ is 167 PPI, compared to the 300 PPI of the Kindle Paperwhite and Kindle Voyage. Looking for a particular resolution in pixels? One thing that drives me crazy when I shop for Kindle ereaders is that the comparison chart for Kindle Fire lists the display size in pixels, but the Kindle, Kindle Paperwhite, and Kindle Voyage list the PPI and make it difficult to figure out what the pixel count is. It’s also frustrating as an author or publisher, since you want to determine the display sizes when creating your images. So I did some research and math to make the following chart. The following table shows the current Kindle ereader screen sizes in pixels. Comparison of Kindle display sizes for Fire, Paperwhite, and Voyage. The Kindle Fire HDX comes in at the top when it comes to the pixel count of the display size. For reading, the Kindle Paperwhite and Kindle Voyage are high resolution (now with 300 PPI). For price, you have to go with the new Kindle Fire 7″ (not HD). The price is incredible, and it’s a Kindle Fire. It’s more affordable than the basic Kindle 6″. Though whether you would go with the basic Kindle Fire or the basic Kindle 6″ also depends on whether you’re looking mainly to read text (Kindle 6″ has a glare free screen), or whether you might either want to use the tablet feature or read books with color images (Kindle Fire). All of the new Kindles have a great battery life (7+ hours), so it’s become less of an issue. It hasn’t been a problem for me on any of the recent Kindles that I’ve purchased. 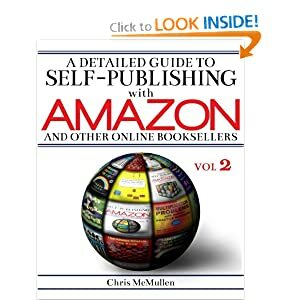 Anyone can publish an eBook on Amazon using Kindle Direct Publishing (KDP), but there are many pitfalls to navigate in order to produce a professional-looking product. The main problem is that the eBook layout works like a web page, whereas most writers are experienced with word processing. So what are the pitfalls, and how do you avoid them? Hold onto that thought (or just skip ahead). To make matters worse, Amazon’s free resources – the KDP help pages (https://kdp.amazon.com/self-publishing/help), Building Your Book for Kindle (http://www.amazon.com/dp/B007URVZJ6), and Publish on Amazon Kindle with Kindle Direct Publishing (http://www.amazon.com/dp/B004LX069M) – are largely geared toward the basic use of Word to prepare an eBook, while not revealing the subtleties entailed in achieving a professional design. Word is designed for creating pages with writing and drawings, whereas eBooks format like a reflowable web page. When a Word document is uploaded to KDP, what Kindle is interested in are HTML instructions. Unfortunately, the HTML that Word generates does not translate as well as could be desired into eBook format. Even if you convert the document to HTML before submitting the file to KDP, unless you clean it and tweak it, there can still be undesirable and sometimes even unpredictable behavior in the converted eBook. KDP provides a previewer to help catch the mistakes. Actually, there are two previewers, and both are available in Step 6 of the publishing process. The online previewer is tempting because it’s so convenient and also much more aesthetic – it mimics each device visually. But the downloadable previewer is more reliable – you can catch errors with it that you might not find on the online previewer. Once you install it, find it after it’s installed, and figure out how to download and view your book with it, you must inspect it carefully to find mistakes on all of the devices (like the different eInks, the different Fires, and the iPad and iPhone). Not uncommonly, an eBook sometimes looks perfect on all but one device, which makes it important to check each device. 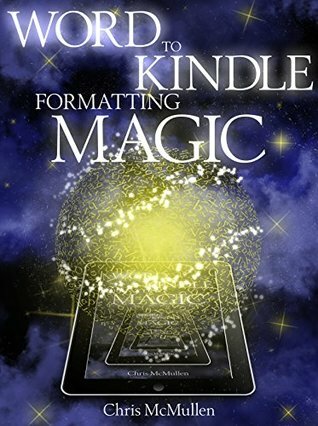 Nonetheless, the indie author who researches the basics of Kindle formatting with Word and invests the time to properly check the formatting across all devices is likely to encounter unforeseen, yet very important, problems: the confounding Look Inside. 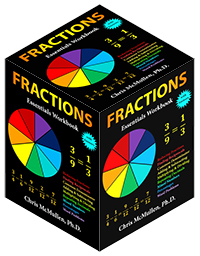 Many customers will judge the professionalism of the eBook based on this Look Inside. Unfortunately, KDP’s previewers don’t offer a preview of the Look Inside feature. The Look Inside adopts the strictest interpretation of the HTML, and often formats Word-originated HTML instructions differently than indie authors intend. For example, it’s very common to see the first paragraph of the chapter indented on the Look Inside even when First Line is set to 0.01” in Word. What do you get when you cross the challenge of properly formatting the Look Inside with the lack of a Look Inside preview and indie authors who have spent months or years writing, editing, and formatting their work? F.r.u.s.t.r.a.t.i.o.n. Amazon does get into some of the subtleties in a publication that’s not nearly as easy to find as the resources mentioned above. They have a technical guide designed for professional publishers – and that’s how it’s written, too. When you visit the KDP help pages (first link above), click “Announcements” on the left, select “Introducing Kindle Format 8,” and look for the “click here” link toward the end of the article. This 79-page PDF reveals technical details about text and image guidelines and which HTML code is supported. But most writers want to be able to publish a high-quality Kindle eBook without having to learn HTML. The self-published author who has a gift for storytelling and has spent years perfecting his or her craft has a disadvantage compared to a webmaster experienced in HTML. The webmaster can easily create a very professional-looking eBook, and even use HTML to make the description pop out with headings and figures. The poor writer who has mastered Word, but who doesn’t want to learn HTML, will suffer a few flaws in the finished product. Here’s the thing: You don’t actually have to learn any HTML in order to perfect the appearance and functionality of the eBook, and you can even make a fancy description without knowing any HTML (see my other blog post called “Eye-popping Blurbs”). That’s right! It’s a thousand times easier than it seems. You don’t need to be able to read and understand the HTML. You don’t need to be able to write HTML. You just need to know which lines to look for and how to change them. You just need a concise, handy resource that says to look for A, B, and C in the HTML, and change them to X, Y, and Z. It is as simple as it sounds. Why don’t we do it? Because we didn’t see a convenient table of what-to-look-for-and-what-to-change-in-the-HTML guide when we visited KDP’s help pages and read KDP’s free formatting guides. Not using page numbers, setting page margins, inserting headers or footers, making bulleted lists, and many other features that we like to use in printed books. Using the Styles to format normal, first paragraph, heading, and title text. Going into the Paragraph dialog box to set First Line to 0.5” (or 0.3” may work better, in general, but not as well as tweaking the HTML) for the normal Style and 0.01” for non-indented, justified styles (as you can’t make the eBook left-aligned by pressing the Align Text Left button) in order to avoid automatic indents. Eliminating all use of the tab key (use the normal Style instead to create indented paragraphs). Replacing some special symbols with other symbols. For example, Word’s AutoFormat tool can make en (–) and em (—) dashes by replacing consecutive hyphens (like –) as you type, but they may not be supported by every device (especially, the older Kindles). If instead you manually hold down Alt while typing 0150 and 0151, you can create these dashes as supported symbols. Formatting pictures centered on their own line and wrapped In Line With Text, with the size set to 100% (by right-clicking the picture, selecting Size and Position, and setting Width and Height in the Size tab) – even if the picture looks bigger than the page shown on the screen (just worry about how it looks in the downloadable previewer). Creating a table of contents using bookmark hyperlinks. Changing font size through Styles instead of using the Font tool on the Home tab. Holding down Shift while pressing Enter instead of just using the Enter key at the end of a paragraph where a blank linespace is desired between paragraphs (in order to produce more reliable results); just ignore the strange spacing that it creates because the eReaders will ignore it, too. We then save the Word document as a filtered webpage (not a single file webpage). If there are pictures, we right-click the file, choose Send To, and pick Compressed (Zipped) Folder. Then we find the newly created folder with the images and copy/paste it into the compressed zipped folder. This step is needed, for example, to avoid black lines from appearing on one or more edges of the pictures. All of this work, all by itself, still doesn’t result in a perfectly formatted eBook. First, it is desirable to clean the HTML – i.e. to remove bloated instructions in order to help make the HTML more reliable and less ambiguous. 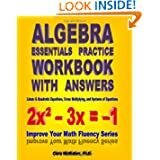 Fortunately, there are some programs that can help do much of this automatically (you can find a list, for example, in the Kindle Tutorial that I recommend in the next-to-last paragraph – but not in Volume 1 of the book listed on the signature line; I’m trying my best to avoid possible confusion). It takes very clean HTML code to make the Look Inside appear professional. Change the indents from 0.5” (or 0.3” or whatever you used for First Line in the normal Style) in terms of the em (like 2 ems) – or set it as a percentage of the paragraph width (like 8% across). In the former case, the size of the indent is based on the size of the text (this is the technical specification that publishers use in print, and often in eBooks, too); in the latter case, the size of the indent is based on the width of the paragraph (visually, this may be appealing so that the indent is the same percentage on an iPhone or a PC). You want your normal paragraph styles to look like <p style=”text-indent: 8%;”> (or a value like 2em instead of 8%) at the beginning of the paragraph followed by <p> at the end of the paragraph. You can do this with the Find and Replace option. Examine the body text in the HTML in Notepad to see what the begin paragraph code looks like, copy it into the Find field, and type the Replace text carefully. Be sure to only edit the normal paragraph styles this way. Manually change the paragraph style to 0% instead of 8% (or whatever you set for the indented paragraphs) to create any non-indented paragraphs (or stand-alone, non-centered lines) – like the first paragraph of the chapter (which you would have set as a first paragraph style in Word). In Word, you had to set First Line to 0.01”, which is slightly noticeable, because (none) doesn’t work; yet this doesn’t always show up in the Look Inside if the HTML isn’t tweaked. But as long as you’re tweaking the HTML, you may as well set it exactly to 0%. And if your HTML is super clean, you’ll have zero indents to begin each chapter in the Look Inside, and on paragraphs of the copyright page and table of contents, and any other non-centered paragraphs that you don’t want indented (provided that your HTML is very clean and you simply apply this code to each such paragraph). Remove spacing between paragraphs. Modify the above suggestion with <p style=”text-indent: 8%; margin-top: 0; margin-bottom: 0″> at the beginning of the paragraph. Use special symbols not normally supported. Kindle supports Unicode symbols 32 thru 255 (first link below), whereas a larger set of Unicode symbols is available using HTML (second link below). You just have to look up the HTML name of the symbol and write it after the ampersand (&) symbol. For example, &hearts makes the heart symbol (♥) when converted to Kindle’s mobi format. In your original Word document, you could write “insertheart” where you would like to include the symbol, use the Find tool to find it in the HTML with Notepad, and then change it to &hearts to make this symbol, and you can do something similar for other supported HTML symbols. Prevent two words or a number and units (for example) from breaking onto separate lines. For example, if you would like 6 ft. to stay together (i.e. remove the possibility having the 6 at the right end of one line and ft. at the left end of the next line), replace the space with &nbsp; (as in 6&nbsp;ft.). Improve the formatting of pictures. For example, if you already have a Word-generated HTML file with pictures set to absolute values (i.e. specified the number of pixels in the width or height), you can use Replace to change the width to =”100%” instead of the absolute measure and to delete the height specifications (just leave the Replace field blank). A hyphen or a dash. Short dash, long dash. Those silly short lines. The keyboard just has a hyphen. No dash. You can easily make a dash in Microsoft Word. With Word’s AutoFormat as you type feature turned on, type two hyphens consecutively mid-sentence, like this – and they turn into a dash. The better way to make the dash is to hold down the Alt button while typing 0150. Why does it matter? If you publish an e-book that you typed in Word, it might make a difference. The en dash (–) is just one of two common dashes. The other is the em dash (—). Hold down Alt and type 0151 to make the em dash. It’s said to be good form to choose one dash or the other and be consistent. Well, be as consistent as English allows. Use the en dash for a sequence, as in 42–81 (this time without the space). Give credit to the source of a quote with the em dash, as in the following (this time with the space). We know that the letter ‘n’ is shorter than the letter ‘m,’ so this should help to remind us that the en dash is shorter than the em dash. We still sometimes forget. The en dash is used with spaces – like so. The em dash is used without spaces—like this. When reading e-books, we sometimes see the hyphen used in place of the dash. Was it a mistake? Or was the author playing it safe, worried that an e-reader might not recognize the dash? Or did the author see a box in place of the dash when carefully checking the previewer? Pick a dash by its toe! What Was that Indie Author Thinking? – You can edit your work later, but you can’t remove the bad reviews. – People won’t notice the content unless they first notice the book. – Would you go to the video store to rent just the first scene of a movie? – Do you trust the views expressed in infomercials? – There are over a million well-edited books to choose from. Why choose one that isn’t? – Get ready for a big surprise! – Did you just ask that out loud? Even worse, did you just type that on Amazon’s community forum? – What about the other twenty million books? Should Amazon market all of them? – Did you write them yourself? Did your friends or family write them? Did you exchange reviews with another author? It takes much time and effort to write a book. First, you need a great idea. Then you have to iron out the details. The writing itself is a monumental task. Most indie authors do put much thought, time, and effort into their books. This blog wasn’t written to try to disparage the self-published author. Rather, it reflects how much more work is involved in publishing a book than just writing. Traditional publishers have editors to improve and perfect the writing, graphic artists to design an attractive cover, and experience with marketing. The self-published author who has finally finished the time-consuming project of writing the book is suddenly faced with all of these responsibilities. The indie author began his/her project because he/she loves to write. Someone who excels at writing often doesn’t also excel at editing, cover design, marketing, and – this is so important! – public relations. For the person who loves to write, writing is by far the easiest part of publishing. We can understand the common mistakes that many indie authors make. Unfortunately, people tend to dwell on mistakes, and the mistakes help to give self-publishing a bad name. There are many quality self-published books, though; and it’s natural for people to enjoy the exhilaration of discovering a gem. A significant percentage of book customers are themselves indie authors. If you add to this number their friends and family, there is a large population of potential customers who may be willing to support the self-publishing concept. Although it is possible to understand the common mistakes that many indie authors make, the bottom line is that the customer expects a good product in return for his/her investment. One little press of the spacebar can make a huge difference. One teensy weensy little extra space was added between the words of this sentence. See the difference? It’s just a space. What does it matter? How many spaces do you use after a period before starting the next sentence? A very common answer ─ even among well-educated people ─ is two. Those same people tend to be very surprised to discover that publishers actually use just one space ─ not two ─ after periods. That’s right, if you don’t believe it, you should start pulling traditionally published books from your bookshelves and inspecting them. If you look closely, you’ll see that there is just once space there. Most of us were taught that there should be two spaces after a period. Historically, the reason for the extra space has to do with the typewriter. The trend of adding this extra space continues today – as many teachers continue to teach what they were taught. This extra space is actually a good idea for teachers: Just like double spacing an essay, an extra space after the period leaves a little more room for annotations on students’ papers (specifically, a correction note for capitalization at the beginning of a sentence of punctuation at the end). Teachers are also probably used to seeing this extra space, and so it may look strange to their eyes to suddenly see one space instead. The problem is that so many people who were taught to use two spaces in school are now self-publishing books. Thus, the two-space trend has entered into the publishing industry. Here’s the thing: Traditional publishers use one space, not two. If you want your book to look like a traditionally published book, then one space following a period is the correct answer. Look, I’m a two-spacer myself. I have used two spaces in every paragraph of this blog, until now. This paragraph just has one space after the period. The paragraphs that follow also just feature one space. Compare the paragraphs to see the difference. Which do you prefer? You could say that it’s just a matter of style. It’s an aesthetic quality. Right? Wrong! If you publish ebooks, the correct answer is to use just one space after the period – not two. Why? Because the text displayed on ereaders may occasionally show a formatting issue when two spaces are used instead of one. Word processors, such as Word, accommodate the extra space nicely. If a sentence happens to end at the end of a line, Word will hide the extra space. 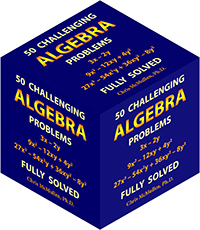 This is convenient because many teachers require this extra space on essays or lab reports. However, ereaders often do not hide this extra space. When a sentence ends at the end of a line and a new sentence begins on the next line, the extra space either appears at the end of the first line (making it appear to end short compared to the other lines) or at the beginning of the next line (making it appear to start late compared to the other lines). So if you want even margins in your ebook, use one space instead of two after periods. She unties the ribbon, peels the wrapping paper off, and opens the box. What is it? A Kindle Fire! That’s awesome! She turns it around to find the power button. It doesn’t come on. Hmm. Oh yeah, it needs to be charged. She finds the charger and plugs it in. A while later, the Kindle is charged and turns on. Service? What? It doesn’t come with free service? It needs wireless service! Let’s see. There is free wireless at the coffee shop, but a router must be installed in order to access the internet from home. After a trip to the electronics store, she has a router. It should be easy to install, right? Where is the modem? She crawls under her desk, bending her body so that she can connect cables to the back of her CPU, modem, and telephone. So dirty! Electronic devices are dust magnets! It’s time to try it out. Not yet. Need to wash those hands first. What? Still no service! Of course. The hardware is connected, but the software hasn’t been installed. Where are those instructions? Setup. Three easy steps. She follows the directions to install the software. She tries using the Kindle again. It still doesn’t show up. So frustrating! Ah, finally! There it is. Enter the password. Ta-da! Receiving a present sure can be a burden! But well worth it. Now it’s working. Just look at the graphics. What is that design? Gears? It looks incredible! Wow! This is really cool. It’s like having a bookstore in the living room, on a bus, or in an airplane. Huh? All of the books are in order on a single list. Where are the categories? Oh, there is a ‘refine’ option. Is it an ‘eBook’ or a ‘single’? What is the difference? Try ‘eBook.’ Finally! There is a ‘cooking, food, & wine’ category; subcategory ‘meals.’ Where is dinner? Ugh! All right! There is finally a cookbook on her Kindle Fire. Need to turn a page. Oh, it works like a cell phone. Small picture. Is there a zoom button? Where are all the buttons? That’s power… When she presses the screen, some touchscreen options come up at the bottom. She increases the font size, but the pictures are still small. These other buttons don’t zoom either. She finds more touchscreen buttons at the top. Still no zoom, but there is a ‘more’ button. Must be under ‘display.’ Nope. Where is the instruction booklet? She checks the packaging for the instructions. No instructions! Which evil genius designed this infuriating gadget? After finding a suitable recipe, she begins following directions to prepare lasagna for dinner. Why is the Kindle off? It must have timed out… She turns it back on and retypes the password. Incorrect password! Must have touched the wrong letter. Try it again. She continues cooking. She returns to the Kindle to read the next step. What is that on the screen? A smear! Already? It’s brand new! Need to get a screen protector… and a case. During dinner, she reflects on her first experience with her new Kindle Fire. There was a slight learning curve, but it wasn’t too bad. She is getting the hang of it. It’s really convenient. The graphics are awesome. It functions like a great big cell phone. Not only can she buy any book and read it anywhere on a fairly big screen, she can even browse the internet anywhere that she has wireless access. Very cool! Later that night, with her Kindle fully charged, she begins reading a science fiction book that she found. Which is more convenient ─ portrait or layout? She settles on portrait mode. Trying to scroll onto the next page, she accidentally turns back a page. No biggie. Another time, she holds her finger on the spot a little too long, and the word is highlighted. A window pops up, showing the pronunciation key and definition. A built-in dictionary. That’s amazing! She also sees ‘note’ and ‘highlight’ options. Impressed, she tries to do this again with another word. A display comes up instead. No, not that. She tries again, holding her finger in place longer. Aha! That’s it. As she continues reading, she notices that some of the indents are longer than others. That’s strange. Why isn’t there a standard size for the tabs? A while later, she finds a little square in the middle of a sentence. What is that little box doing there? How funny. Several pages further, she discovers a hyphen-ated word in the middle of a line. Aren’t hyphens used at the end of a line? In the next chapter, she spots a misspelled word. Really? This is the age of technology. The book is digital. The author must have used a computer to type it. Neither the author nor the editor used spellcheck? How is this possible? Attempting to scroll onto the next page, suddenly an internet browser opens. What is going on? She is reading a book, not going online. When she closes the internet browser, she spots a hyperlink in the middle of the page. Oh. Must have clicked that by mistake. This book is like a minefield.